Get up to £100 bet credits! First go to their website and open an account with Bet365 today! When on the Bet365 site I clicked the yellow ‘Join Now’ link. I chose a username and password. Loged in using my new details. Do You Need a Bonus Code? The above step by step description of how I signed up to Bet365 but you’ll notice at no point did I enter anything into the Bet365 bonus code field provided. All you have to do is what I did; create your new Bet365 account, make a deposit via an eligible payment method (NETeller, Skrill and Skrill 1-Tap are excluded) and then place bets worth a total value equal to your initial deposit. Once I’d done that, I got my bonus credited by Bet365, and you will too. You do not have to locate or enter a bonus code during the registration process or at any other time in order to take part in that new customer promotion and to receive the available deposit bonus. How Easy is it to Withdraw? I found Bet365’s new player bonus to be really easy to understand from start to finish, and was also pleasantly surprised at how easy it was to withdraw funds I’d won after using my bonus credits. The credits themselves were added to my Bet365 account after I’d made my first deposit of £20 and bet that same amount through the sportsbook, but were of course not withdrawable. I used them to place a quick bet, however, and withdrawing the winnings which fortunately resulted from that bet was incredibly simple. The winnings did not include the return of the initial stake but were added immediately to my withdrawable balance. I could, therefore, simply withdraw them immediately via my account as I would any other funds which were unrelated to a bonus or promotion. I chose to withdraw the funds back to the debit card which I’d used to make my initial deposit but there were loads of other options, including withdrawing to PayPal, by bank transfer and to other e-wallet services. You can see a full list of banking options over at the Bet365 website. Quick Note: How Do Deposit Bonuses Work? Bet365’s new customer offer is unlike many other bookmakers’ new player promotions, in that I’d class is as a deposit bonus rather than a free bet offer. Rather than providing a set value of free bet or bets in light of an initial qualifying bet, therefore, a deposit bonus offers bonus funds (or credits as Bet365 call them) based on the size of a new customer’s first deposit. Deposit bonuses, therefore, generally provide non-withdrawable funds which can be used to place bets that will return winnings exclusive of the initial bonus stake. Those bonus funds are often subject to wagering requirements, which stipulate that you must bet a certain amount before any withdrawal is possible. Such requirements are often instituted after bonus funds are credited but Bet365 actually require you to bet through your initial deposit amount once before you get your bonus credits instead. There’s no doubt that Bet365 are, in my opinion, one of the best online betting sites available to punters. When on the site I found a massive range of markets covering a whole host of different sports including the likes of football, horse racing, tennis, cricket and rugby to name just a few of the many options. I’ve also compared the odds they offer to those available with other bookmakers and whilst not always right at the top of the pile. It’s weird that their website has a bonus code field because when I signed up I didn’t use one and was still got the bonus that was advertised to me on their homepage. It’s makes me question whether you need a bonus code for Bet365 at all – they could do with making this a lot clearer to customers in the future. On the more negative side of things I really don’t like the software their betting platform is built on for desktop users. Mobile users get a much better experience and can in my experience can access the exact same markets and prices available on the main website. If, like me, you do most of your betting on your phone now then this won’t be an issue for you. They do have a cracking reputation for being one of the most safe and secure bookmakers on the web and their trusted by punters worldwide. All the serious punters I know have an account with them and in my opinion you won’t regret opening one. 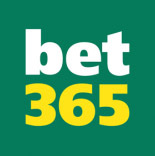 Open your account with Bet365 today!